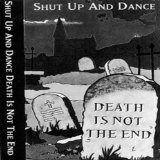 death is not the end shut up and dance. 8. So What You Smoking? Related links: top tracks by Shut Up And Dancetop tracks of the 1990s, top tracks of 1992. 1. Automatic For The People by R.E.M.